Projects specifying Ketley Brick products have secured no fewer than seven short-listings in the prestigious Brick Development Association (BDA) 2018 Brick Awards, which recognise excellence in design and construction using brick. Nominees for the Refurbishment, Innovative Use of Clay, Outdoor Space, Commercial Project, Individual Housing Development and Large Housing Development categories feature a range of Ketley products, from ‘Class A’ engineering bricks and brick slips through to high performance pavers and quarry tiles. 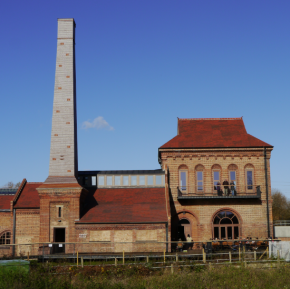 • Walthamstow Wetlands (pictured above). Finalist in the Refurbishment, Best Innovative Use of Clay and Outdoor Space categories. This multi award winning restoration by Witherford Watson Mann features Staffordshire Brown Brindle facing bricks and specials on the reconstructed Swift Tower and kitchen extension, with Ketley quarry tiles used on much of the interior flooring. Specified for their industrial authenticity and durability, Ketley ‘Class A’ engineering bricks suited the context of this historic site perfectly. • Croxley Park. Shortlisted in the Commercial category. 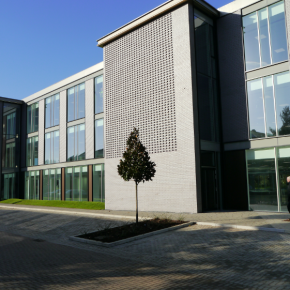 This impressive modern office development from ESA Architects, features a striking textured brickwork facade using Class A brick and matching brick slips in Staffordshire Brown Brindle. Ketley’s ability to supply an exact colour match of solid bricks, perforated bricks and extruded brick slips was vital in bringing the different elements of the scheme together. • The Red House. Finalist in the Individual Housing Development category. The Red House from 31/44 Architects features Ketley’s Staffordshire Blue Star patterned pavers in both indoor and outdoor areas to match the intensity of the decoration in the pre-cast pigmented concrete panel on the front of the house. • Willowbrook. Shortlisted in the Individual Housing Development category. This spacious light-filled home from Paul Archer Design incorporates Ketley Class A Staffordshire Blue bricks below the damp proof course, as well as for inset panels to the front elevation of the property and planters at the rear. • Chapter House. Shortlisted in the Large Housing Development category. This much lauded residential development for retirement living is set within Lichfield’s central conservation area. 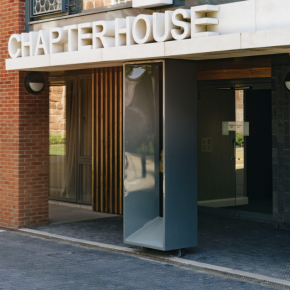 Designed by Procter and Matthews Architects it features Ketley’s Staffordshire blue diamond chequer pavers both on the inside and outside of the entrance area. Ketley’s range of Staffordshire engineering bricks, brick slips and pavers are highly durable and their precise form, natural clay colour and range of matching specials give architects the opportunity to create imaginative designs and decorative details in the knowledge that they are fit for purpose in all situations. Known for their high compressive strength and low water absorption, Ketley’s ‘Class A’ engineering bricks are not only F2 Frost resistant but have performed outstandingly well in recent rigorous industry freeze-thaw tests for textured and “hit and miss” brickwork, making them the perfect choice in severe exposure conditions.